Just from talking with Chelsey, and doing a little Twitter stalking, it’s easy to tell that she’s a pretty artistic and inventive person, and we share a common love for silly Snapchat filters and our dogs. In addition to finishing all of Garrett’s 3D prints for Chaos Core Tech, she has also completed a few simple models of her own, and expressed a wish to try 3D printing herself. I learned that Chelsey has honed some of her impressive 3D model painting skills from decorating cakes at Ktown Cakes & More, which she co-owns. I was very pleased to be able to interview Chelsey Kearney for 3DPrint.com’s 3D Printing: Spotlight on Women series to get more insights into the design and finishing aspect of the 3D printing world. How did you and your husband get interested in 3D printing, finishing, and modeling? Do you and your husband come up with the ideas for the models together? What’s it like working together with your spouse? Do you have separate work spaces, or work at different times, or both work together in the same space? I see that you also decorate cakes – have you always been a painter? 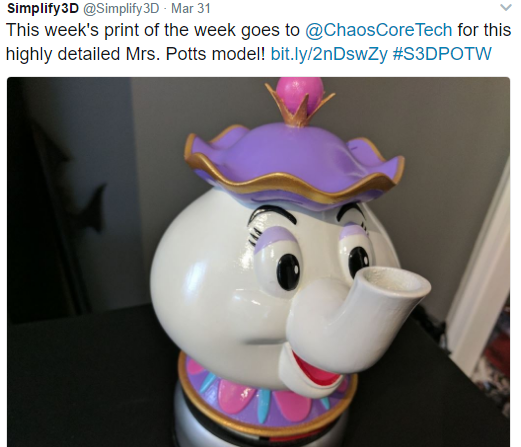 Does Chaos Core Tech ever sell its models, or complete made-to-order models for customers? If not, do you see that happening in the future? What kind of objects do you like to model? What software do you use and what do you like about it? 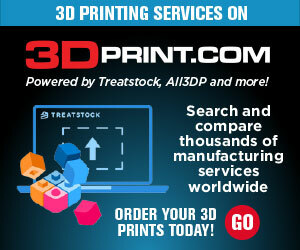 What kind of 3D printer are you hoping to get? I think if we all work together, we can get #SavetheFingers to trend on Twitter…so let’s get to it! Chelsey recently received an early birthday gift from her husband Garrett: he sent a Scribbler 3D pen to her at work, and she’s been busy doodling ever since. Their love and support of one another is really touching to see, and it’s nice that they enjoy working together as well. Discuss in the Chelsey Kearney forum at 3DPB.com.